Now that there’s a definite chill in the air it’s time to start thinking about keeping little ones cosy through the winter months and this Superhero Hat from Oeuf NYC is super-warm and super-cute too. 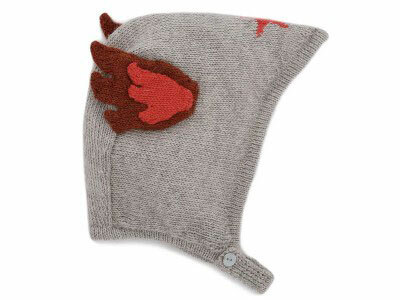 Made of very soft, grey, baby alpaca wool the hat fastens under the chin with a button and features a central star and coral superhero-style wings on either side of the head. The hat is available in sizes 6 and 12 months and costs €42 from Shak-Shuka here.